Be held 100% accountable for reaching your goals. Lose weight quickly and safely. 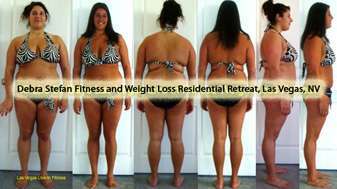 HOW HIS TEAM SELECTED DEBRA STEFAN LIVE-IN WEIGHT LOSS RETREAT FOR A REALITY TV EPISODE? Lose Weight Fast, Keep It Off, And Make The Comeback Of Your Life. 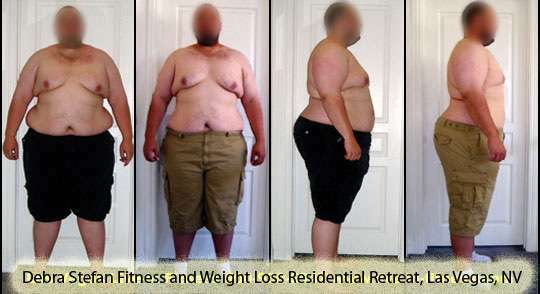 Debra Stefan Fitness and Weight Loss Retreat, originally known as “Live-in Fitness” since 2008 offers weight loss vacations including bike retreat and weight loss camps for men in a private residential retreat. 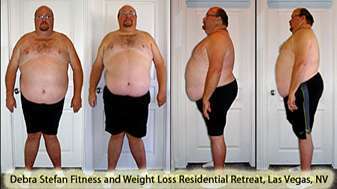 Weight loss retreats formerly themed adult fat camps or fat farms were popularized by the “Biggest Loser” TV series. 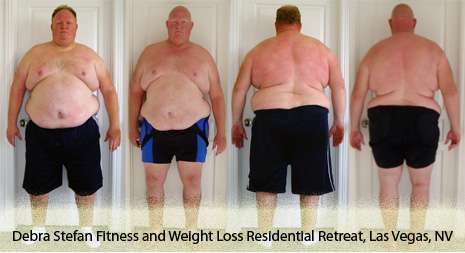 Debra’s wellness program remains unique from other adult weightloss camps in that it is not open to the public. Clients travel worldwide to learn healthy lifestyle habits in Debra’s private weight loss retreat. Debra Stefan is solely independent and is not associated with any other locations or enterprises. Hi, I’m Debra Stefan, creator of 24/7 Live-in weight loss retreat camp-the first unique fitness camp where you stay in my residence while doing all of the right things all at the same time… so you actually replace old habits with new ones that get you to your weight loss goal and keep you there. Why consider a weight loss retreat? If don’t like what you see in the mirror right now. If you’ve tried the gyms, the low-calorie diets, and the advice from your well-meaning friends and family who say things like “just eat less and exercise more” but no matter what you do, the weight always comes back-then keep reading because I have something very important to share with you. 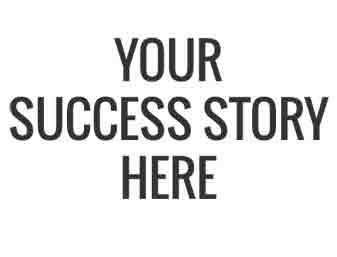 Maybe you didn’t succeed because you put on a one-size-fits-all cookie-cutter program and not a program designed specifically for you, your metabolism, and your likes and dislikes. Or you were required to count calories, which has proven to cause even greater weight gain in the end. Maybe you weren’t shown new habits that would work specifically for you…not someone else…not someone just like you…but YOU. This isn’t about helping you lose the weight and then just sending you on your way, without a clue what to do on your own at home, only to gain it all back. You’re gonna discover habits that you can take back with you into the everyday world. And, unlike other residential programs that publicly trot their clients around in public and make them work out in front of large groups of onlookers so they can drum up more business, the workouts you’ll be doing with me are not only extremely customized, but are private as well giving you the space and privacy you need to reach your goals. *DISCLAIMER: Please keep in mind that the weight loss retreat results of others cannot possibly indicate or guarantee your personal results. 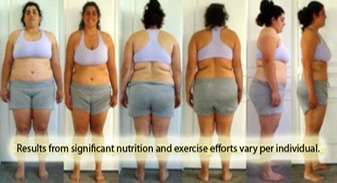 This program requires a dedicated effort toward lifestyle change and is not a crash diet for weight loss alone. This is a health and wellness lifestyle. Results will vary per individual. Maybe you weren’t held accountable in a structured and supportive environment that has a PROVEN track record for last results. Or maybe you just got busy with life-taking care of the bills, the family, the commitments-and forgot to take care of the one person you need to most: yourself. Whatever the reason is, with my Residential Fitness and Weight Loss Program, I’ll not only help you lose weight as fast and safely as possible, but I’ll help you keep it off by reprogramming you with a set of habits customized specially for YOU…and you’ll be held accountable for practicing these new habits 24/7 so they stick. After a weight loss retreat, you’ll still be you. More than ever you’ll be the alpha rockstar you, with a new look, new attitude, and new level of confidence to help you conquer the world. You’ll be the best “You” you can possibly be. And I’m here to make sure of it. So if you’re sick of not liking what you see in the mirror. If you’re sick of feeling sluggish and unhealthy all the time. If you’re sick of no longer getting the respect you want and deserve. If you’re sick of not being able to do all the things you want to with your friends and family because you can’t keep up. If you’re finally ready to put your foot down and take a stand for the person you not only want to be but the person you DESERVE to be… …and if you’re SERIOUS about it and ready to do what it takes to finally put the extra pounds behind you once and for all…I can help. The first step –once you decide to be an ACTION TAKER is to read through the weight loss camp FAQs and then call to set up a phone consultation so you and I can decide if this program is a good fit for you. So start taking action and first read the weight loss retreat FAQs. View the residential fitness camp rates and fitness day camp rates. At Live-in Fitness you’ll walk in as one person, and walk out a completely new one.